Digga was the first sculpture I ever attempted. I wasn’t sure how he would end up; it was just a project to pass the time. He evolved as I made him, and I became familiar with ‘listening’ to the metal, following its lead in where it wanted to be taken. All I really started out knowing was that I wanted to make a robot. And Digga was the result! I surprised even myself by making a sculpture with movable wrists for my first sculpture! Digga has become so much more than just the robot I wanted to make for fun. He was the start of a new passion and career path for me, and I realised he is ME. 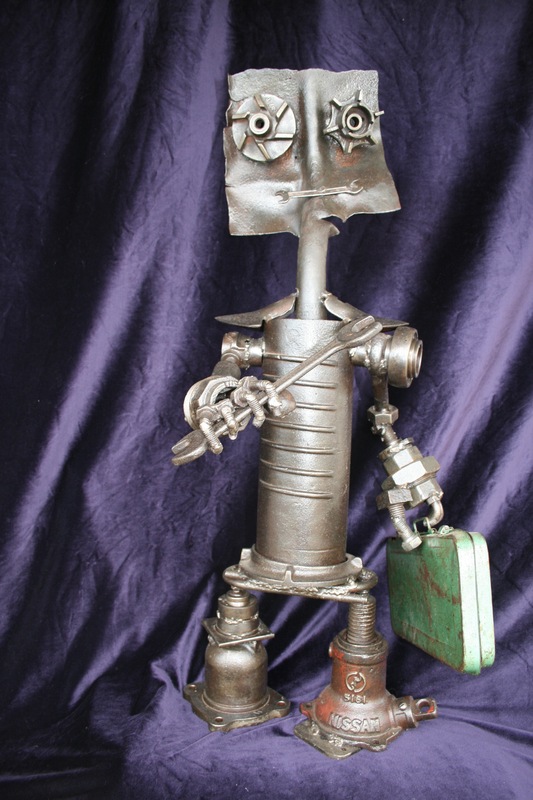 Digga has become the signature image for The Scrappy Sculptor, and I believe he IS The Scrappy Sculptor. 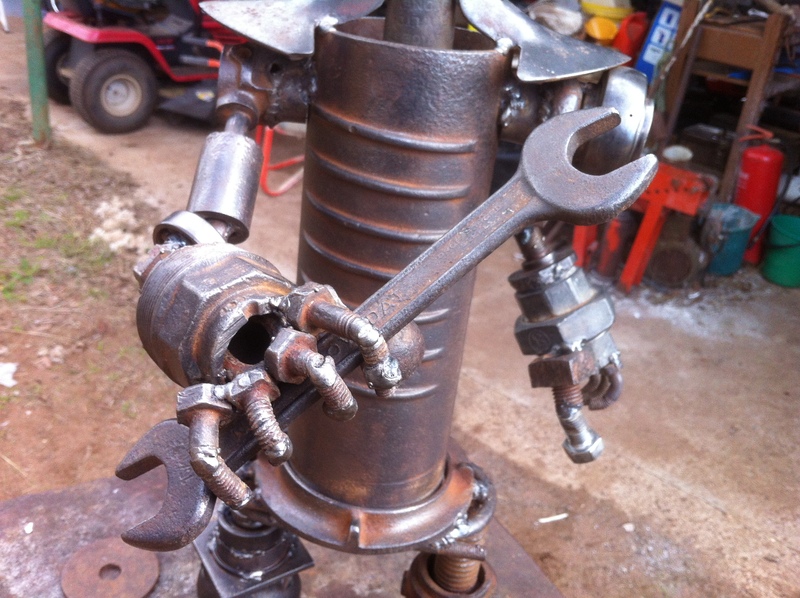 This entry was posted in Completed Work and tagged Digga, learning, making. Bookmark the permalink.